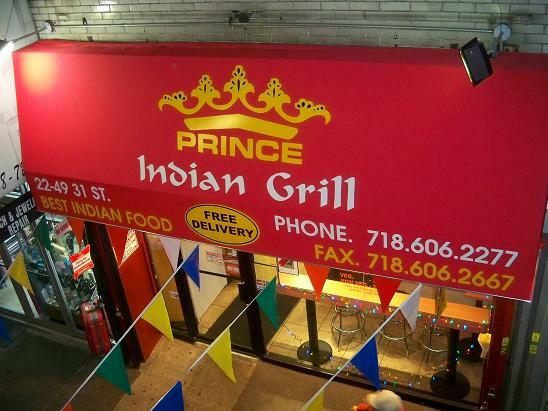 A few months ago, I shared news about a new Indian fast food joint that was replacing the old Haddad's space on 31st Street near Ditmars Blvd. Well it's officially open for business, so I walked in, grabbed a menu and took in their surroundings. This place is quite awful. Inexperienced staff and disorganized. They don't serve the rush hour crowd off the subway at all. Very little food is ready to take out during prime rush hour evening hours. I think they'll be gone very soon. I got takeout one night and it was good. In the interest of time I got what was already prepared behind the counter and ended up with Chicken Tikka Masala & A Vegetable Curry with raita & pickles on the side. I also ordered Naan, which they prepared on the spot in their Tandoori oven. Both takes are interesting - I'm going to have to try it for myself and report back. My husband has gotten food from here twice... while I thought the flavors were good, I found the food really greasy/heavy. Thanks for your nice words Nicole, I appreciate it!